If you have not had the opportunity to read Carol Dweck’s book, Mindset: The New Psychology of Success , I strongly recommend that you do! Carol Dweck is an internationally renowned Stanford psychologist. She studies and teaches about motivation, personality and development. In her book, Dr. Dweck introduces and explores the concepts of Fixed Mindset and Growth Mindset and their importance to educators, parents and people who want to succeed in life. A detailed description of Fixed and Growth mindsets is given elsewhere but in order to explore Carol Dweck’s book, they will be briefly described here as well. Carol Dweck presents an enormous amount of research to support the existence of these two mindsets in her book and goes on to describe the implications of these two mindsets not only in school but also in sports, relationships, parenting and life long success. 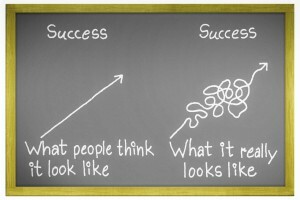 Dweck explains that, in the real world, work and effort are what create ultimate success. People can be successful initially based on talent but eventually they must work, practice and learn in order to stay successful or increase their level of success. Every path to success is littered with problems or stumbling blocks that must be overcome along the way. People with a Growth Mindset have an advantage because of basic their beliefs. When people with a Growth Mindset reach a stumbling point, there mindset not only allows them to work on the problem until they are successful but it pushes them to do so. They value hard work and enjoy the challenge! People with a Fixed Mindset are at a disadvantage because they feel inadequate whenever they reach a stumbling point. Their mindset hinders them from working on the program. are more likely to spend their time blaming others and eventually give up. Dweck’s Mindset: The New Psychology of Success provides the reader with an understanding of how their mindset affects their attitudes about life and their overall performance, how their mindset affects the mindsets of people around them, how they can change their mindset and help those around them change their mindsets. It is a must read for teachers, parents and anyone who wants to succeed in life! Mindset by Carol Dweck: Summary of the Key Ideas in One Hour or Less , by Eighty Twenty Publishing. Mindset: The New Psychology of Success…In 15 Minutes – The Optimist’s Summary of Carol Dweck’s Best Selling Book , by 2 minute Insight. These summaries present the basic concepts from the book without providing the supporting material. The reader would definitely benefit from reading the supporting material if at all possible. some very interesting points you touch on here. In particular the ‘fixed mindset’ – this is very common and I see it in people all the time – a result of brainwashing from an early age perhaps? Yes I think many of us have been exposed to “fixed mindset” thinking at some point in time. It seems to be all around us!